Several homes for displaced children and geriatric hospices have benefited from items which were not sold at a recent auction held by the NIBTT. THE NATIONAL INSURANCE BOARD OF TRINIDAD & TOBAGO, having embarked upon the reconstruction of a new and modern facility in Scarborough, Tobago, have instructed us to offer for sale by Public Auction on Saturday June 8, 2013 at 10:00 a.m. The NIBTT in keeping with its promise to the public will auction reusable items from the NIB Mall. In a press release from Communication consultant Mr. Michael Stewart, he advised that the auction will be held on Saturday June 08, 2013 and further details will be published in the print media. The decommissioning of the NIB Mall in Scarborough is progressing well and on schedule. In a release from the Communication Consultant for the NIBTT, Michael A.T. Stewart confirmed that 100% of the tenants complied with evacuation notices and Phase 1 is now completed. The public is advised that effective April 30, 2013 access to the NIB Mall in Scarborough is restricted. The National Insurance Board of Trinidad and Tobago (NIBTT) wishes to notify the public of the imminent closure and demolition of the NIB Mall in Scarborough, Tobago. This move became necessary to ensure the safety of the tenants and all the users of the Mall. Proposed changes to the NI system as presented by the Honourable Minister of Finance Budget presented on October 1, 2012. Increases in the rates of payment for Medical Expenses and Constant Care and Attendance Allowance effective from March 4, 2013. The National Insurance Board of Trinidad and Tobago (NIBTT) continues to do more to better serve you our valued customers. The following benefits will be increased effective 4th March, 2013. A new schedule of contribution rates was approved fro the National Insurance System of Trinidad and Tobago following the statutory 8th Actuarial Review benefit of the NI System. These changes will take effect from March 4, 2013. 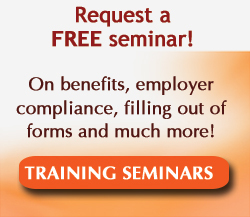 Are you interested in a seminar or training program?